Calgary...Laser Hair Removal has evolved. Now it's Better, Faster and suitable for fair, medium and dark skin types! More and more people desire to have their hair removed. At Skinpossible we provide our clients with a treatment that is effective, fast and comfortable. We can remove hair on any skin type quickly and more comfortable. We have a Lightsheer, IPL and Elite ND Yag to remove hair on any skin type! Laser Hair Removal destroys the hair follicles and their ability to grow hair where it is unwanted. Not all hair removal lasers work equally well. Medical-grade differs greatly from spa-grade and not all technology is suitable for every person. Having a basic understanding of how laser hair removal works and what to expect will save you money, time and possibly disappointment. Hair removal treatments are done with either an IPL (Intense Pulsed Light machine) or various lasers, known as Alexandrites, ND Yags or Diodes. Each has its pros and cons, its advantages, risks, and limitations. If you have seen our website, or the clinic itself, you may be aware that Skinpossible has more technology than any other clinic in Calgary. Skinpossible has all of the above and all of our technology is tier-one within its class. Since lasers and light used for hair removal are looking beneath the surface of the skin for pigment in the hair follicle, not all technologies are suitable for darker skin types or tanned skin due to the pigment in the skin itself. Imagine the freedom of enjoying the smooth skin, free of stubble, without the need to shave or wax. Laser Hair Removal can destroy the hair follicles and their ability to grow hair where it is unwanted. Women have been shaving their legs and underarms for decades. It’s a cumbersome chore that needs to be done frequently to avoid stubble. Feminine facial hair is even more cumbersome. It is common in certain ethnic groups and increases in most ethnicities after menopause. Hairy backs have never been considered attractive, but nowadays it seems that body hair, in general, is considered unsightly on men as well as women. In an era where all of us seem busier than ever, shaving is time-consuming and the cost of professional waxing can add up. Ingrown hairs that can result from ongoing shaving or waxing are unsightly and can even be painful. Imagine the freedom of enjoying the smooth skin, free of stubble, without the need to shave or wax. Which laser hair removal technology is the best? Not all hair removal lasers work equally well. Medical-grade differs greatly from spa-grade and not all technology is suitable for every person. Having a basic understanding of how laser hair removal works and what to expect will save you money, time and possibly disappointment. Depending on the thickness of the hair, the colour of the hair, the depth of the follicles, and how much natural pigment is in your skin, we choose the device that will work best for you. Suitable for fair and dark skin types: Lightsheer can safely and effectively treat all but the darkest skin types. The speed of Treatment: The surface area that each pulse covers with the Lightsheer’s high-speed integrated technology is huge by laser standards. People are busy, and the fact that we can treat an entire back or lower legs in only twenty-minutes makes it more convenient for our patients. Comfort: If you’ve ever had laser hair removal you know it can be painful. The high-speed handpiece of the Lightsheer doesn’t hurt. Of course, you can feel it, but most people do not find it uncomfortable! Expanded capabilities of Fotona’s new Avalanche Frac 3 ND Yag laser hair removal improves the efficacy, and unlike other ND Yag laser treatments which hurt, this treatment is completely pain-free. It is ideal for people from the Middle East and other dark skin types because the wavelength penetrates deeply into the skin to target the deepest hair follicles while by-passing the natural pigment in the skin. The BBL is a medical-grade IPL that provides integrated cooling during the treatment. This allows us to set aggressive parameters to seek out hair while keeping the epidermis safe. It’s more comfortable than most lasers and can effectively treat hair that would be missed by other lasers. It is the gold standard for seeing pigment which allows the BBL to target finer hair and a lighter colour of hair than any other technology. It is suitable for lighter skin types. Can I get laser hair removal if I have blond hair? Can my hair be treated if I have a dark skin type? The answer is Yes! Skinpossible can remove hair on any skin type, Fair, Medium, and Dark. For light hair: BBL! It can see a lighter colour of hair and finer hair than other technologies. As long as there is pigment in the hair BBL will be able to see it. With BBL we can remove even the fine hairs that are left behind by other lasers. For Darker skin: To remove hair from the darkest of skin we use our Elite ND Yag. Shy about Intimate Laser Hair Removal? Although we provide Intimate laser hair removal as a routine part of our business, we understand that for you it may feel very invasive and even embarrassing. We want you to have the hair removal you want, and we want the procedure to be as comfortable as possible (physically, mentally and emotionally). For very intimate removal, we utilize towels to offer discrete treatment methods (for women and men) that will make you feel comfortable. You can even opt to use a small guard that affords a measure of privacy, while still allowing us to remove the unwanted hair. The BBL is suitable for most skin types, except very dark skin. It can safely and effectively treat fair skin, darker skin and even tanned skin. Freshly tanned skin should not be treated however so you will have to avoid sun exposure for 4 weeks prior to a hair removal treatment. Also avoid using artificial tanning products or sun exposure for at least three weeks before treatment. In most cases, all of it! But over a period of weeks new hair will grow and you will need additional treatments. Let me explain why by first explaining how hair grows. There are three phases of hair growth - anagen (the growth phase), telogen (the resting phase) and catagen (the period of transition.) The phases of hair growth last for varying periods of time in different areas of the body. For example, the hair on your face is in its anagen phase 50-70% of the time, while the hair under your arms only actively grows about 30% of the time. The telogen phase also varies in different areas of the body. Only hairs in the active growth phase (anagen) can be successfully treated each time. Thus, a series of treatments are scheduled to ensure that all the hairs will be targeted as they leave the telogen phase and enter the anagen phase. 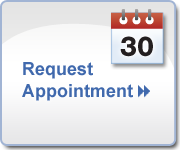 Missing scheduled appointments will increase the number of treatments required. Usually 4 - 6 treatments at 6 - 12 week intervals are needed. The number varies depending on the colour of the hair, the colour of the skin, the area being treated and your adherence to the appropriate schedule of treatments for that specific area. Skinpossible offers a 6 Treatment Series for the normal price of only 5 treatments. In the event fewer than 5 are needed, any balance that remains on your account can be applied to any other treatment or product we offer. Your BBL treatment can be tailored to target and disable course hair, medium hair and fine hair by utilizing the correct wavelength to penetrate to the appropriate depth of the follicle for each type of hair. Unfortunately, because the pigment in the hair is what the light is attracted to, hair without pigment does not absorb the energy. To date there is no laser or light- based technology that can treat white or very light coloured hair. Also, as the light that reaches the appropriate depths to target hair is red, it is reflected off pigment of the same colour. Thus, lightly coloured red hair cannot be successfully treated. Yes! In fact, the light from the BBL can see fine hairs that other lasers cannot see. This makes it a great finishing treatment for anyone who has already undergone laser hair removal but still has fine hairs left that could not be successfully treated by other hair removal technologies.